'The Hunger Games: Catching Fire' Poster Bets on the Fans! ‘The Hunger Games: Catching Fire’ Poster Bets on the Fans! The latest 'Hunger Games: Catching Fire' poster has been revealed, not directly through Lionsgate, but by one of the film's many fans. In an unconventional move that speaks to the studio's successful use of fan interaction, fangirl Tori Dripple was given the opportunity to release the brand-new outdoor poster art for 'The Hunger Games: Catching Fire.' According to Lionsgate, she is the top fan of the film's interactive viral marketing website, TheHungerGamesExplorer.com. While other studios, like Warner Bros., have stood out for their use of digital campaigns (remember those web destinations for 'Pacific Rim,' 'Man of Steel' and even the upcoming 'Godzilla'), Lionsgate created a social media-friendly site where 'Hunger Games' fans can share content, including their own fan art, and be recognized for their love of the film. Perhaps this is the future of the viral marketing campaign. 'The Hunger Games: Catching Fire' is directed by Francis Lawrence, and stars Jennifer Lawrence, Josh Hutcherson, Liam Hemsworth, Sam Claflin, Woody Harrelson, Elizabeth Banks and more. Although Katniss and Peeta survived the brutal events of the 74th annual Hunger Games, they will soon find themselves back in the arena, facing a pool of tributes who are all past victors themselves. 'The Hunger Games: Catching Fire' hits theaters November 22. In the meantime, check out the latest poster below, and click to download your own copy. 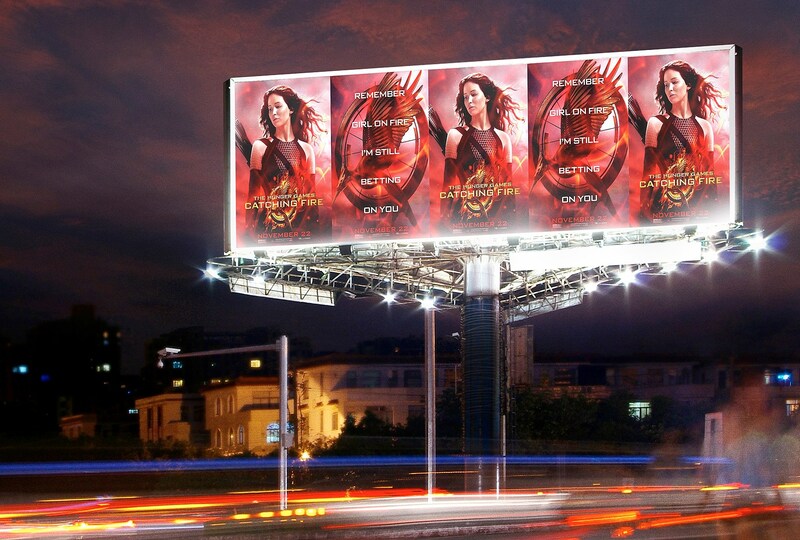 Source: ‘The Hunger Games: Catching Fire’ Poster Bets on the Fans!